I have listed a new property at 92 1188 MAIN ST in Squamish. 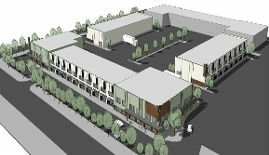 I have listed a new property at 119 1201 COMMERCIAL WAY in Squamish. I have listed a new property at 118 1201 COMMERCIAL WAY in Squamish. I have listed a new property at 116 1201 COMMERCIAL WAY in Squamish. I have listed a new property at 38026 SECOND AVE in Squamish. Investors & Developers! Multi-tenant professional building on the primary business strip in the expanding Downtown core of booming Squamish, B.C. in a location near shopping, amenities, and surrounded by significant new development. This 2 story professional building has approximately 10,000 leasable square feet on a 12,000 square foot site with ample parking onsite and offsite. The property is strata titled which allows for flexibility downstream to sell off independent units at a 20 - 25% profit. Recent updates include a full envelope replacement excluding windows in 2014, new carpet, new hot water tanks, new municipal backflow valve and some modest interior upgrades. Torch on roof has had updates/repairs in the last 2 years. Great long term income property or redevelopment site. Call for more info. I have listed a new property at 115 1201 COMMERCIAL WAY in Squamish. I have listed a new property at 113 1201 COMMERCIAL WAY in Squamish.